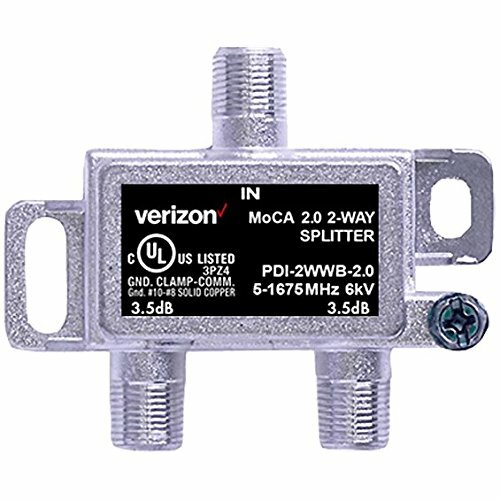 ✓ VERIZON 2-WAY COAX SPLITTER: A convenient and handy way to send your FiOS to multiple devices. ✓ EASY TO USE AND INSTALL: Coax Splitter allows one piece of coax to join with two pieces of coax. Perfect for sending your FiOS to both a TV and an internet modem or router. Includes mounting screws for quick and easy mounting.